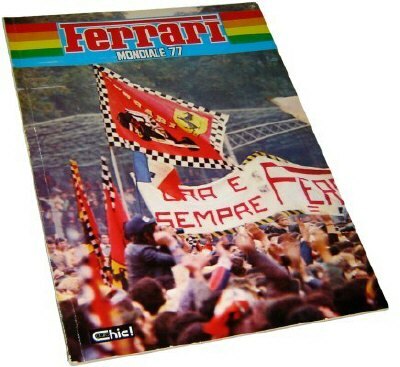 Ferrari 1977 Year Book or "Mondiale". 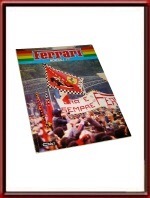 The 1977 year book of Scuderia Ferrari, elaborating on the team, the cars, the races, the people behind the team and the sponsors. Great pictures and elaborate description of each of the 1977 Grands Prix. Contains fold-out posters as well. Of course it also has a lot of attention for driver Niki Lauda and Carlos Reutemann. It measures some 8 x 11 inches. Please note: Ferrari did NOT issue yearbooks themselves between 1971 - 1988 so also this one is a third party issue (by Arexons) but rare as hens teeth nevertheless.